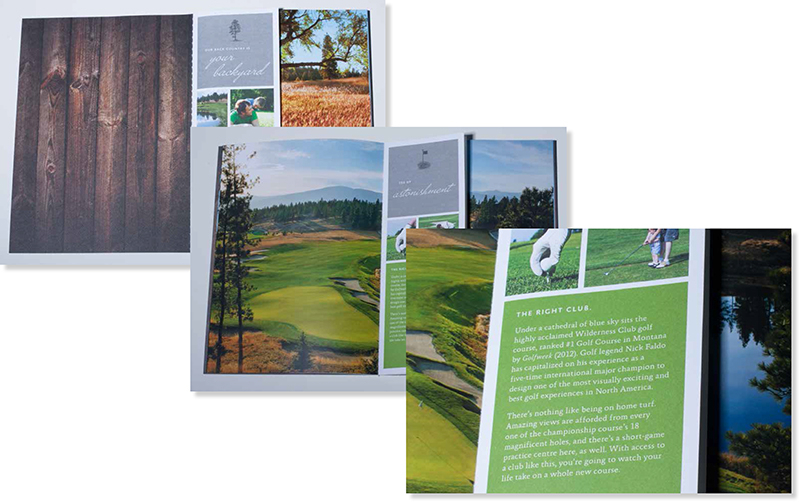 A brochure designed to entice prospects to purchase a home site at this exclusive, luxury community. The Wilderness Club is familyfriendly and highly amenitized, with several of the brochure pages featuring community events and activities. Several shorter sheets are bound in with the brochure pages, highlighting specific points about the property. The last pages include a strong call-to-action with a pricing incentive for customers to buy.